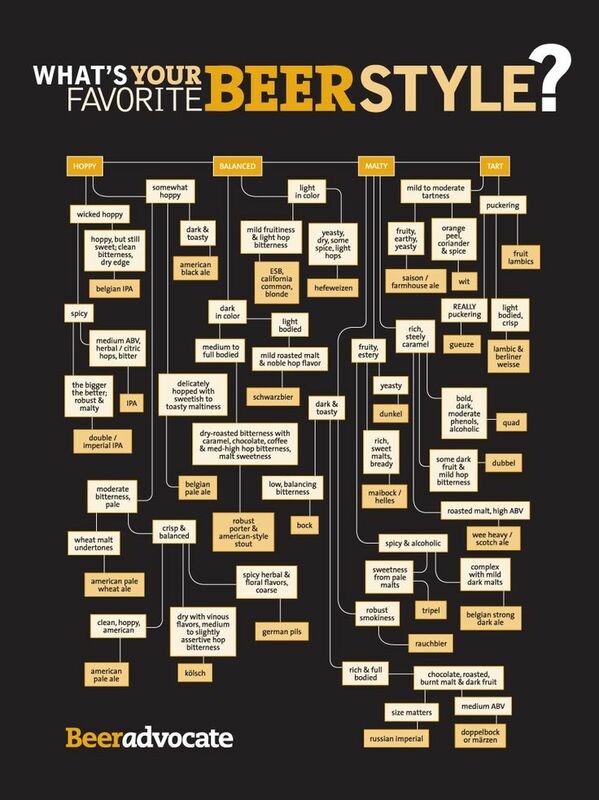 This fun infographic from Beer Advocate helps you find the right type of beer for your preferred taste. You start with the simple option of hoppy, balanced, malty or tart and progress from there as the flow chart directs you to the perfect ale. Whether you like fruity beers with a light hop taste or fruity, earthy and yeasty - the chart takes into account a range of characteristics and decides if you should take a Belgian pale ale, an IPA or a Hefeweizen. Have a play and find the perfect beer style for you.